What do tile installation systems and math/science have in common? At Schluter-Systems, these forces blend together to become the backbone of new product innovations and various systems and technologies that are continuing to challenge and change the face of the tile industry. Tile installation is an ancient art, with some historical landmarks still housing tile masterpieces that are thousands of years old. Schluter-Systems has been developing tile installation systems since the company was founded in 1966. Today, more than ever, the demands from the tile industry are high for effective installation systems that ensure the longevity and success of tile installations—and each of those systems at Schluter have a team of people behind them that drive that success. That’s where opportunities abound to incorporate math and science skills in this dynamic, ever-changing creative environment. Founder Werner Schlüter was intrigued with tiling from the moment he first observed a tile-setter on his way home from school one day when he was just 12 years old. He became a master tiler seven years later and established his own company in 1966. Just nine years later, he invented a unique L-shaped angular metal profile that would become known as SCHIENE, which was the first of many Schluter products designed to bring solutions to the everyday challenges in the tile industry. Such experimentation and innovation continue to this day, as Schluter-Systems has grown to 900 employees with locations around the world, including three offices in North America. Schluter-Systems has always led by innovation, looking beyond millennia-old traditions to solve modern problems. Not surprisingly, the company is well regarded for creating jobs that are not what we might imagine when we think about the manufacturing of tile installation systems. The company’s ethos is embedded in new solutions to such critical industry challenges as uncoupling, waterproofing, edge-protection, and drainage. Creative individuals can join Schluter-Systems with an eye toward research and development, education, marketing, customer service, or technical support. A look at Schluter’s history shows a timeline that highlights many of the most significant developments in the evolution of the tiling industry. Some of its flagship products include Ditra, the first uncoupling membrane to prevent tile and grout from cracking, Kerdi, a sheet-applied waterproofing membrane to prevent mold growth in wet areas like showers, and new innovations in drainage, tile trims, and electric floor heating systems. At the heart of the company is the belief that Schluter products cannot be sold, they have to be understood. To this end, the company has made education the backbone of everything it does, both internally with its own employees and externally with professionals of the tile industry. Last year alone, Schluter hosted workshops across North America that welcomed over 10,000 professionals. The company also invested in its own video production studio where it produces hundreds of videos every year, all with the goal of providing the industry with insightful support of their portfolio of systems and solutions. With an E-learning portal, an in-depth website, and regular articles in industry publications, there is no shortage of learning opportunities at Schluter. The educational element of Schluter-Systems has always been held in highest esteem at the company. The ability to convey intricate details about working with modern tile products and techniques provides yet another example of how one can utilize math, science, and technology skills to create information for others. Schluter-Systems is so determined to change the paradigm of tile and stone installation manufacturing they call it out on the company website: “If you’re a different kind of folk, are passionate about all things tile-related, talk to us about joining our team.” The great innovators of the world have always thought differently. 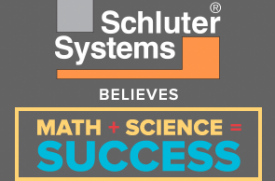 Schluter-Systems provides an opportunity for these creative individuals to thrive in a dynamic and collegial atmosphere.